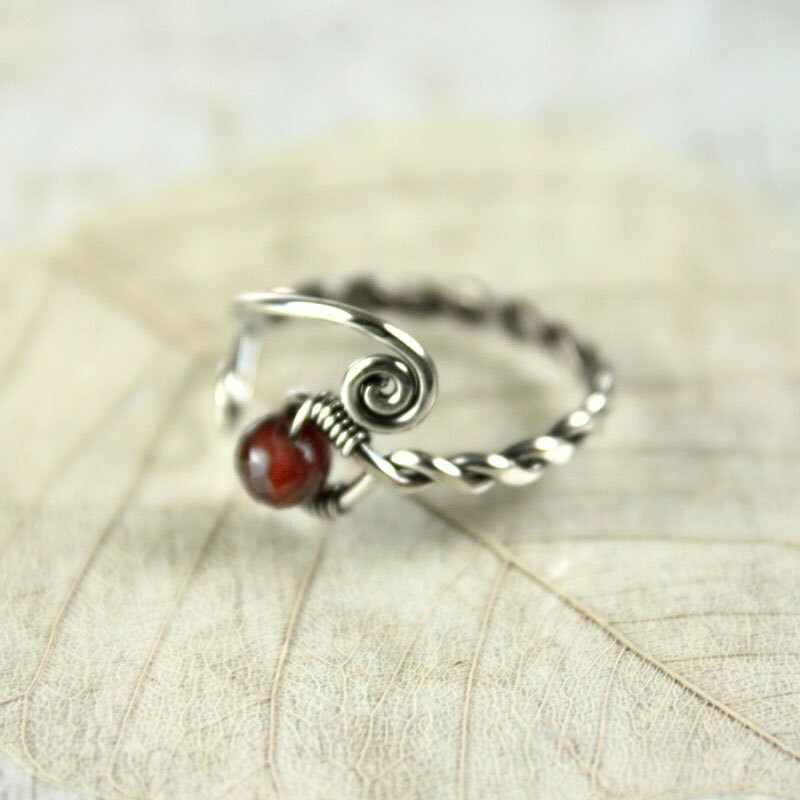 A special silver and garnet ring with a twist and open spiral design. 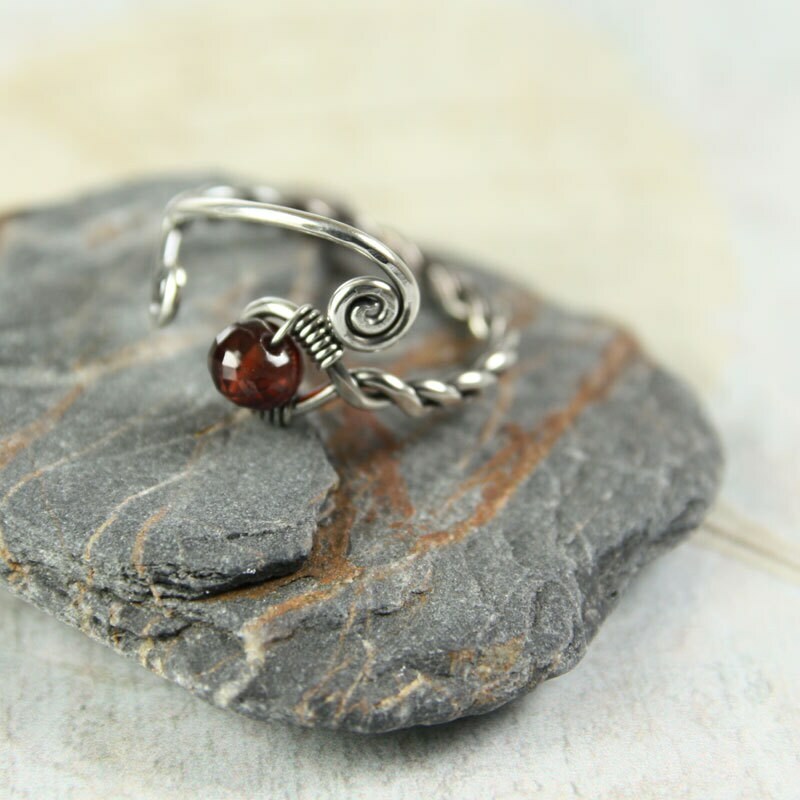 The shank is twisted from one wire and in the loop at the end is nestled an AA-plus faceted wine red garnet bead and the opposite ends are shaped into spirals. 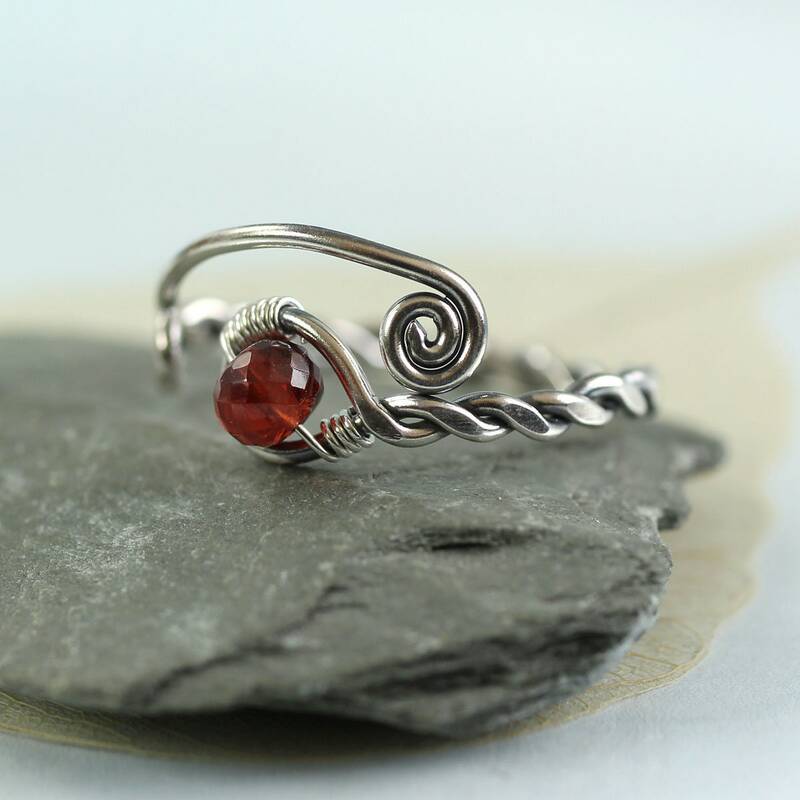 Both twists and spirals are classic and has been used since Celtic times in jewellery. 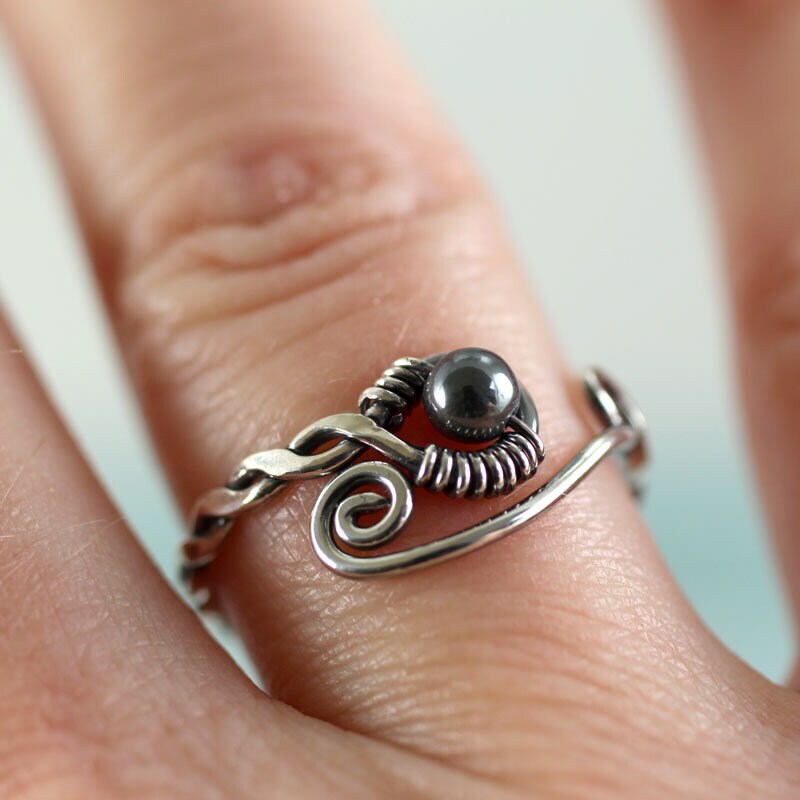 I have oxidised the ring to give it character and age. 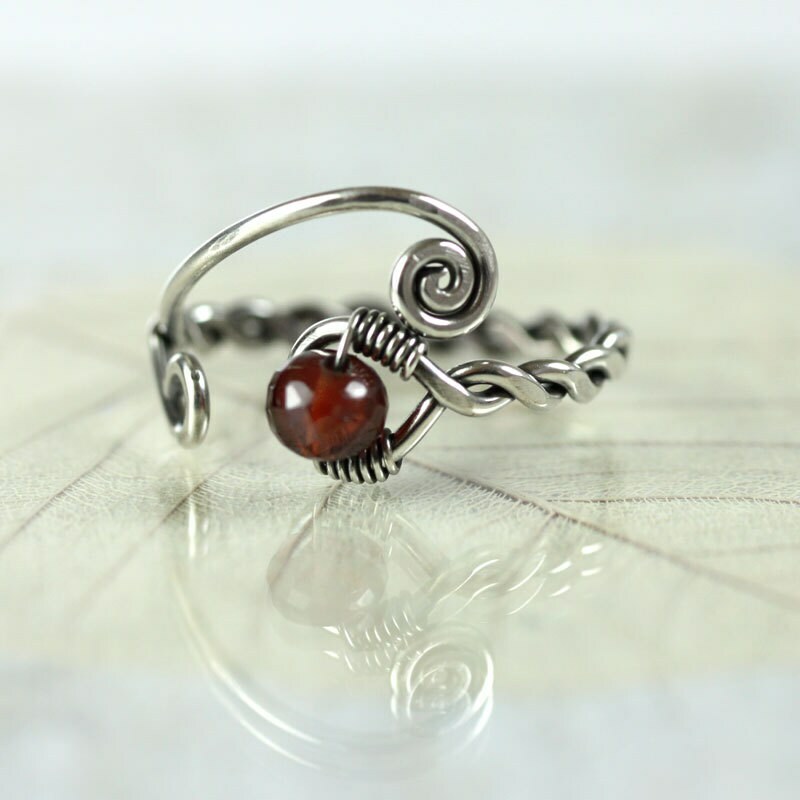 This ring could grace a Stark hand or indeed an Elven princess. 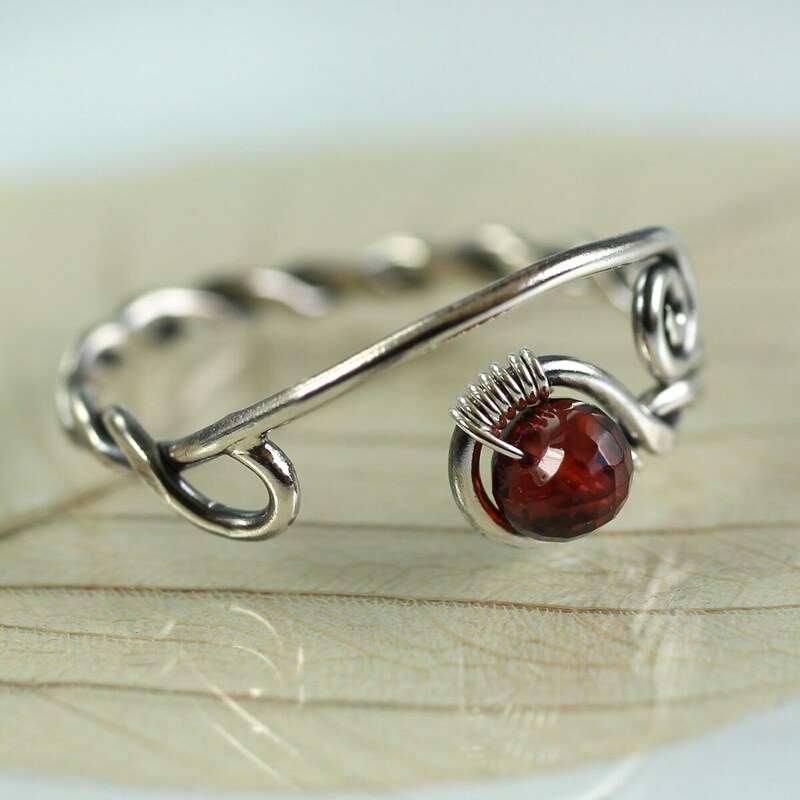 I have twisted and forged by hand and it shows in the rustic irregularities. 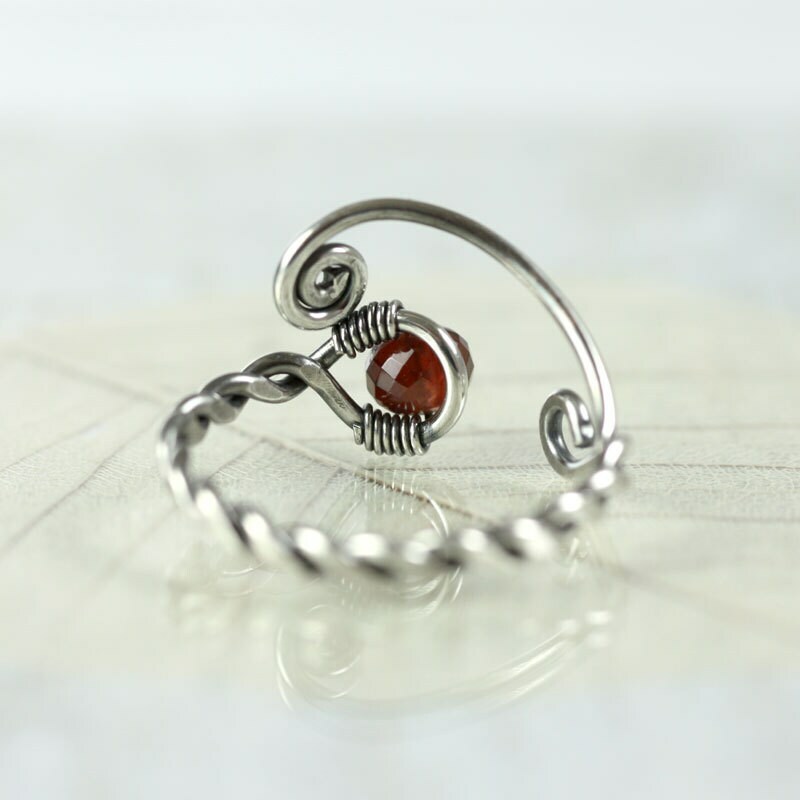 It gives the ring character and makes everyone of them unique. comfortable and versatile. Love it. 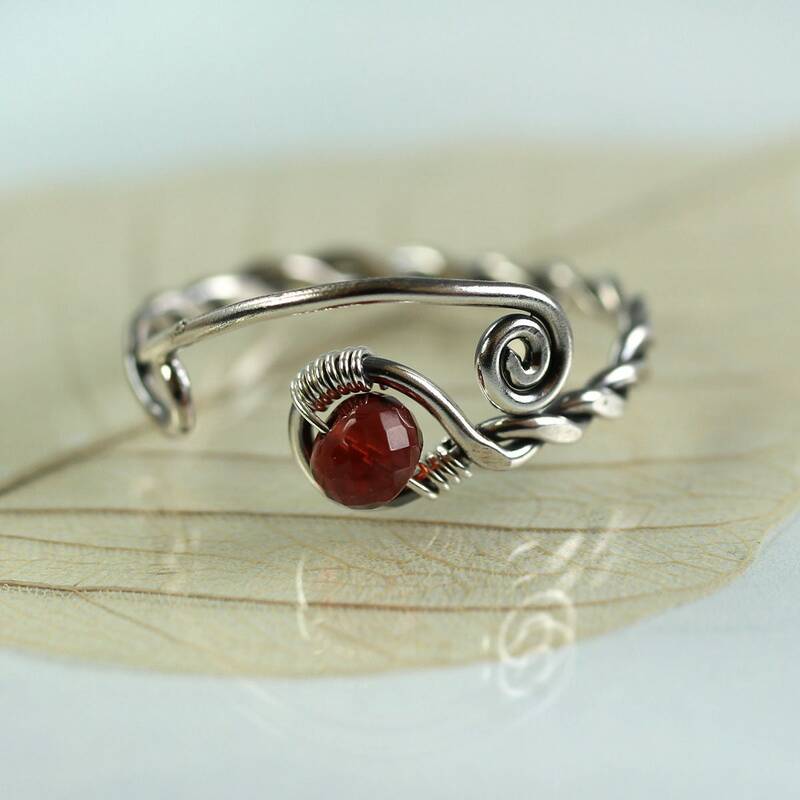 Nana was lovely and very helpful in confirming my queries with regards to the size of the ring. 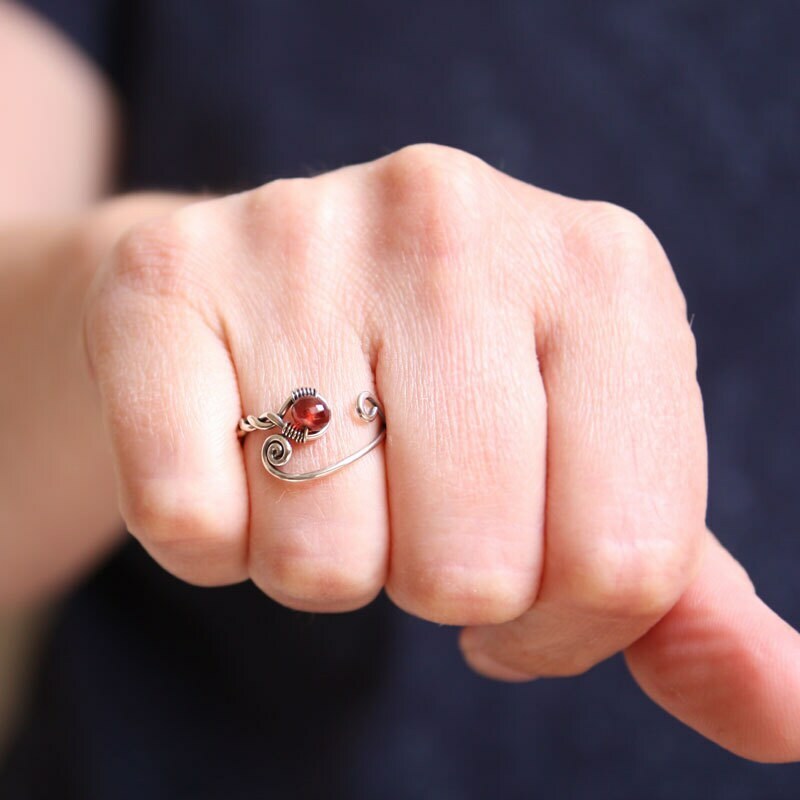 The ring arrived in a couple of days. Absolutely gorgeous.